Polar vortex: did warming bring the chill to US? Small islands getting submerged because of rising sea levels are no longer the poster images of climate change. North America and eastern Europe have replaced them. Since January 2, parts of North America and eastern Europe are experiencing extreme cold weather, at places the temperatures have fallen below -50 degree centigrade. The dip in temperature is a result of an unbalanced Arctic polar vortex, the mass of cold air that generally circulates over the North Pole. The polar vortex keeps the cold air caged in the area. If the vortex weakens, the cold air can escape and reach Canada and subsequently enter the US and eastern Europe. If this air meets the jet stream—winds from the Pacific Ocean which carry moisture—it can result in heavy snow. It is being hypothesised that the weakening of polar vortex is a result of global warming. Warming leads to melting of polar ice during summer months. The melting ice warms the Arctic Ocean and the heat is radiated back to the atmosphere. In the absence of global warming, there used to be a substantial difference between the temperatures at the poles and in the mid latitudes. But because of rising temperatures, the Arctic region is warming twice as rapidly as the mid latitudes. The reduction of temperature difference between the two areas results in a change of path of the cold winds which then move southwards. 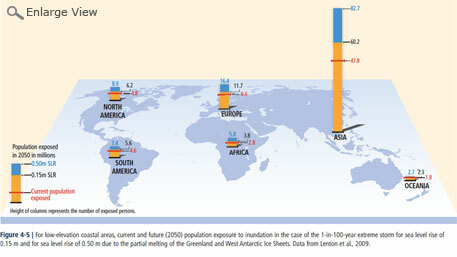 As more and more ice melts in the coming years, more such events can be expected. 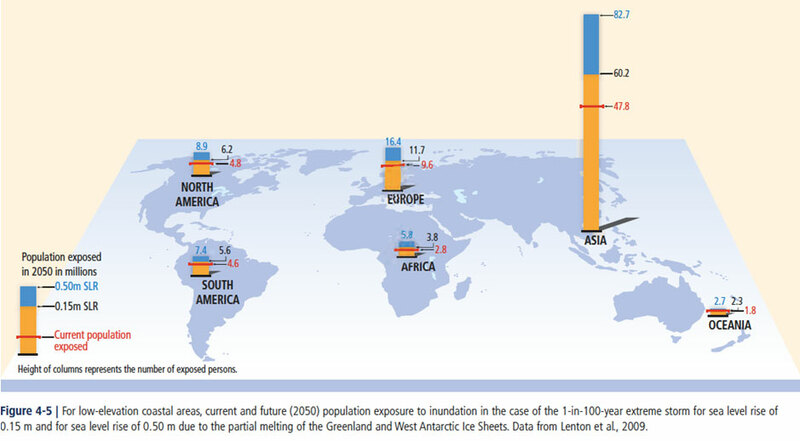 But very little research on this is available as ice melting is a recent phenomenon. In fact, the IPCC (Intergovernmental Panel on Climate Change) report says that the polar vortex is expected to become smaller in the coming years. It is just that the US is not willing to take steps to reduce the carbon dioxide emissions. The cold winds have brought the US economy to a standstill. But now, the bad boys are the victims. Will the country now come forward to take responsibility for its actions? Just 6.6 per cent of the world population in North America contributes to 28.1 per cent of polluting emissions. It is being said that the worst of the event is already over. During the weekend, it is expected that most of the affected areas would experience average or above average temperatures. But extreme events have become a reality in today's world. 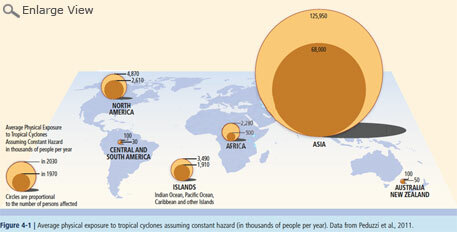 Sea level rise, tropical cyclones and floods are likely to affect poor people in Asia (see infographics).